Lace up your skates! 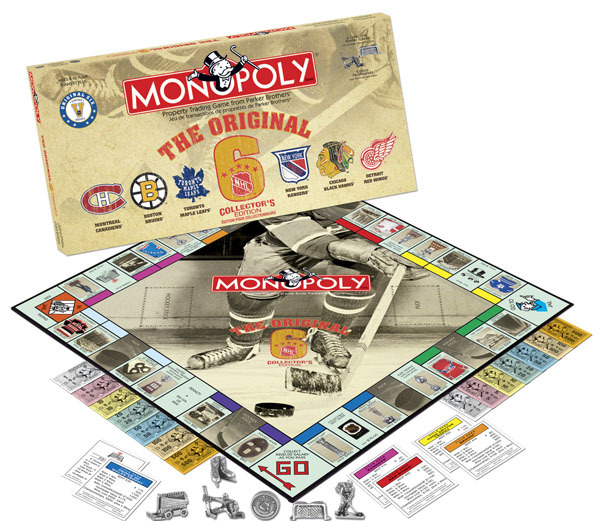 This game commemorates the glory days of the National Hockey League with the celebration of the "Original Six" hockey teams - Boston Bruins, New York Rangers, Chicago Black Hawks, Detroit Red Wings, Toronto Maple Leafs and Montreal Canadiens. Buy, sell and trade them all! The "Golden Age" from 1942 to 1967 represents the coming age of hockey and the successes of the "Original Six" and the NHL. 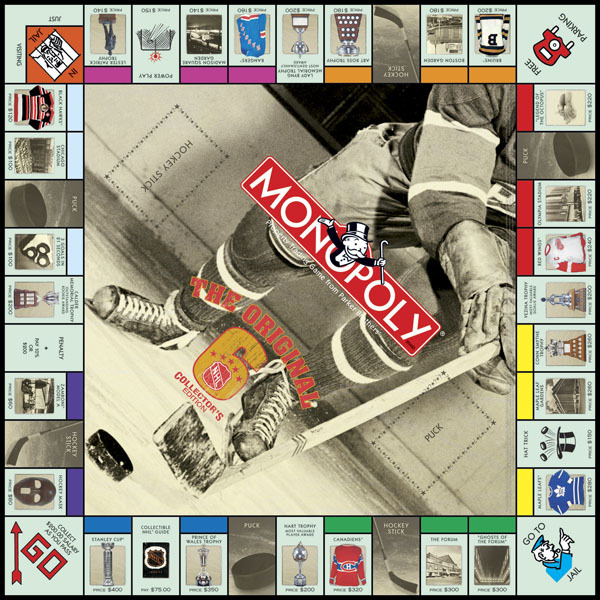 This game captures and brings to life the vivid history of the NHL including the introduction of the goal light, the curved hockey stick and the goalie mask. 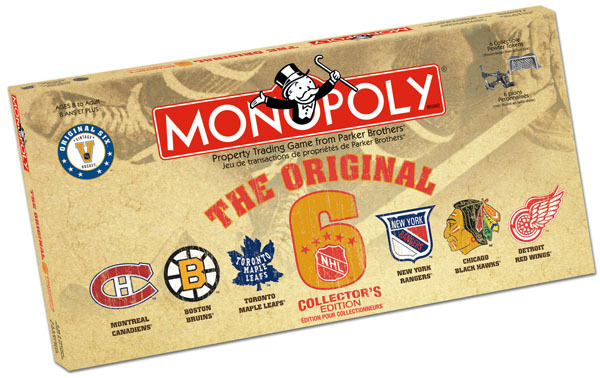 Complete with collectible pewter game tokens including the net, puck, forward, goalie, skates or the Zamboni, this is a must-have collectible for the serious fan of the NHL and the "Original Six". This very unique collector’s edition comes complete with custom pewter tokens including a hockey net, goalie, hockey player, puck, Zamboni and skates. The traditional houses and hotels are replaced with Luxury Suites and Arenas. Copyright © 2012 ABC Billiard Plus All Rights Reserved.